Saudi Arabia has agreed to free more than 2,100 Pakistani prisoners as the kingdom’s crown prince concluded a visit to its nuclear-armed ally. 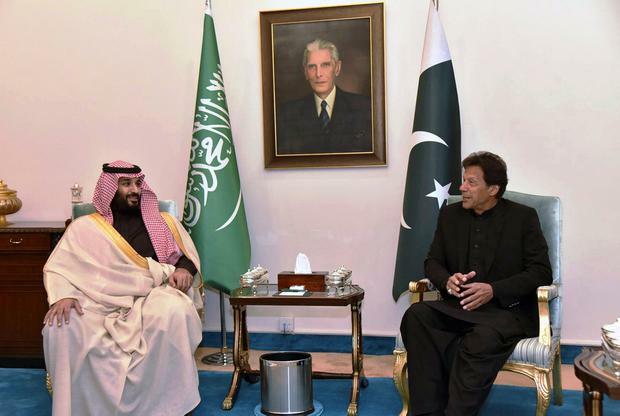 Mohammed bin Salman promised to deliver “whatever we can do” for Pakistanis living in his country after a personal plea from Pakistan Prime Minister Imran Khan. The mass amnesty followed the signing of Saudi investment deals worth more than $20bn (€17.6bn). The crown prince’s visit is seen as sealing deepening ties between the nations at a time when Mr Khan’s government faces a painful balance of payments crisis. Cash injections from Riyadh and the United Arab Emirates have kept Pakistan’s economy afloat in recent months, and allowed Mr Khan to delay a bailout from the International Monetary Fund. The release of Pakistani petty criminals is seen as a political gift to Mr Khan. Millions of Pakistanis work in the Gulf and their wages are a critical source of foreign currency for Pakistan’s economy. The fate of the thousands who are locked up across the Middle East is a sensitive issue in Pakistan, where there is a perception the prisoners are mostly poor labourers who have no legal recourse. Mr Khan raised the issue on Sunday night, asking the prince to look into the hardships of Pakistani labourers in the kingdom and “look upon them as your own people”. “His Royal Highness… Mohammed bin Salman has ordered the immediate release of 2,107 Pakistani prisoners from Saudi jails,” said Fawad Chaudhry, Pakistan’s information minister.